Is Michael B. Jordan Dating Someone and Planning to Settle with her as Husband and Wife? Michael B. Jordan is an actor based in the United States and is best known for his leading role in 2018 hit film Black Panther, also starring Chadwick Boseman, Lupita Nyong'o. When it comes to Jordan's love life, it has always been a big question, not only among the fans but also among the critics. Born on 9th Feb 1987, the 31-year-old is one of the most popular and eligible bachelors in the industry with thousands of ladies going crazy for his ripped body and excellent acting skill. Moreover, his name has also been linked with numerous ladies in the industry. Let's find out more about his current relationship status and his rumored affairs. 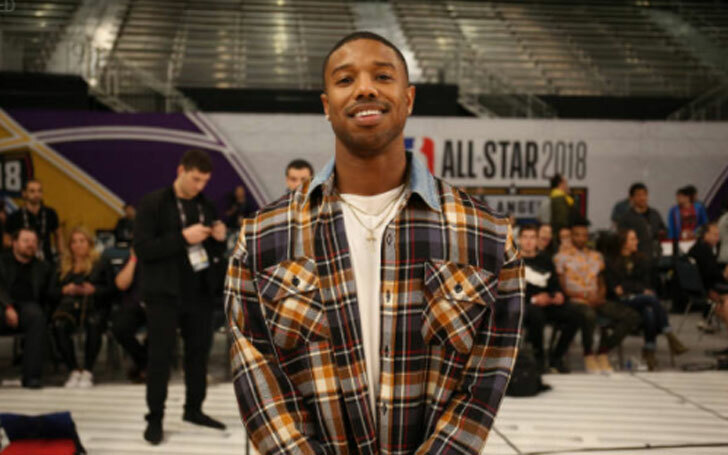 Who is Michael B. Jordan dating? Is he getting married? He said that he is dating people but is not in a relationship which makes him single technically. He is seeing women but has not found the one he has always wanted. Since we have cleared the topic, fans are also curious about when he is going to get married. Well, fans can expect to see Jordan as an unmarried for quite some years from now. During an interview, he shared that he is the only breadwinner of the family and has a lot of responsibilities. So, he has no time for getting committed to someone. Likewise, he also shared that since a very young age he had his mindset that he would utilize his 20's and early 30's to focus on her career. Jordan is among the actors who started from the ground-level to reach the point he has achieved now. For him, his family is basically everything for him contributing to his success. He also added that he might get the chance to live a little once he hits mid-30's and he has no problem with it. A lot of females that didn’t agree with this agenda. They want what they want, I tell them what I want. It doesn’t quite work out that well. That’s why I’m by myself. Michael B. Jordan's rumored relationships. Ever since Jordan gained stardom, his name has been linked with numerous females in the industry. Back in 2015, he was rumored to be dating reality TV star and model Kendall Jenner. He cleared the air about the rumor the same year, during an interview with GQ magazine. As of 2018, he is rumored to be dating his Black Panther co-star Lupita Nyong'o. They have not only been spotted together numerous times but during interviews and events, they were also spotted getting very comfortable and close to each other. Neither of them has spoken about the rumor, but they make an amazing couple and fans are totally digging them. Similarly, Jordan has also been rumored to be dating an Instagram star, Ashlyn Castro. The rumors got fueled when Castro shared pictures of herself and Jordan spending New Year Eve together. Well, neither of them have spoken about it, but sources claim that they are trying to keep their relationship as low-profile and away from the public as possible. Anyway, sooner or later, truth will be out.